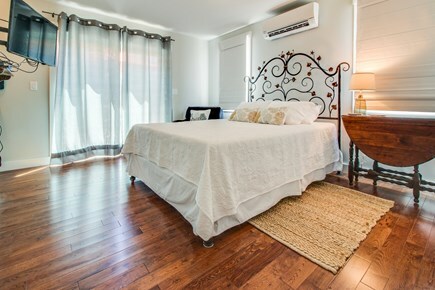 Get a good night's sleep in this queen size bed. 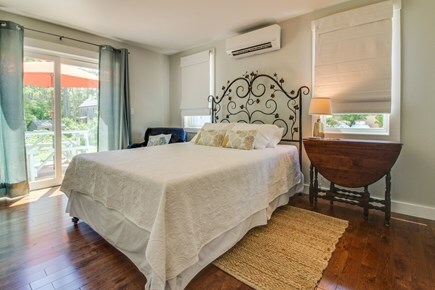 Relax in the A/C while getting a good night's sleep. Watch TV in bed to relax after a day at the beach. Perfect for a couple or solo traveler. Access to the deck from the bedroom. 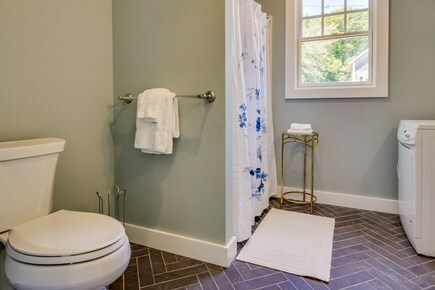 Get ready for the day in this full bathroom. Plenty of room for 2 to get ready in the morning. Grill up some shrimp on the shared deck. 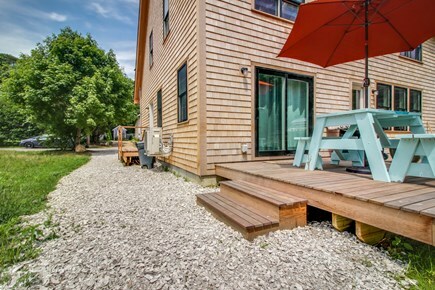 Walking distance to the town, beach, and ferry. There is plenty of room to run around in this huge backyard. 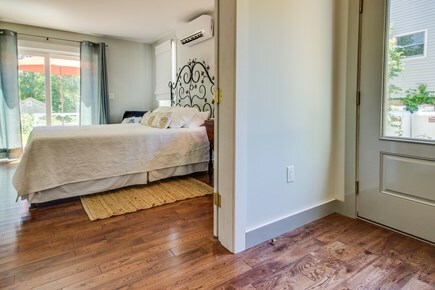 Enjoy the sparkling new construction of this studio-style Vineyard Haven property, a bright and sunny in-law secondary suite. 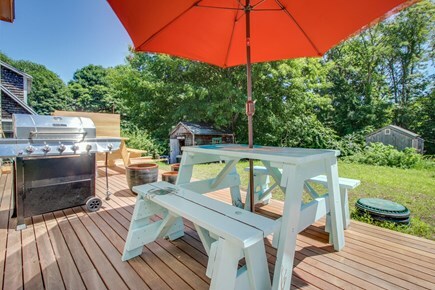 It offers travelers a shared outdoor deck (with your own designated space), a gas grill for summer barbecues, and an ideal location within walking distance of town, the beach, and the ferry. 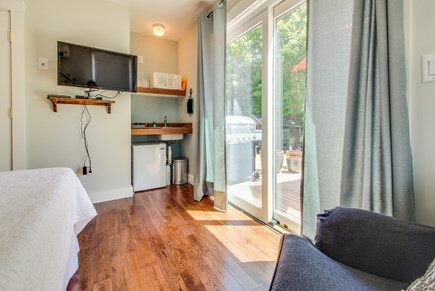 This single-level studio sits in a quiet residential neighborhood, less than a mile from the Vineyard Haven Steamship Authority and the heart of downtown. 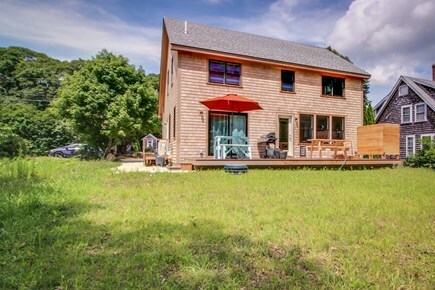 Spend your days swimming at Owen Park and Tisbury Town Beaches one mile east, watch the sunset at the West Chop Lighthouse two miles north, and catch lively performances at the Martha's Vineyard Playhouse a half-mile walk from home. Built in 2017, the Mermaid Suite is a private suite located within a larger house. 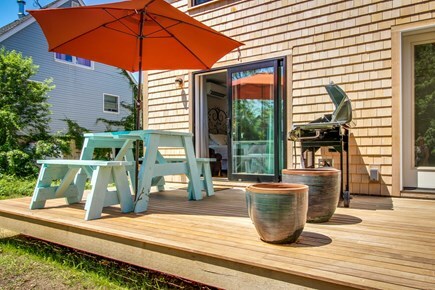 It is a wonderful escape for a couple or a solo traveler looking to experience the charms of Vineyard Haven. You'll have the comforts of central AC, free WiFi, and a flatscreen TV with cable and an included sports package - so you'll never miss a Red Sox game in the peak of summer. 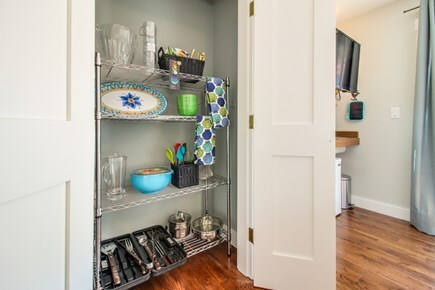 Brew fresh coffee each morning in the small kitchenette, which includes a mini-fridge, a sink, a microwave, and a few pots, pans, and utensils. 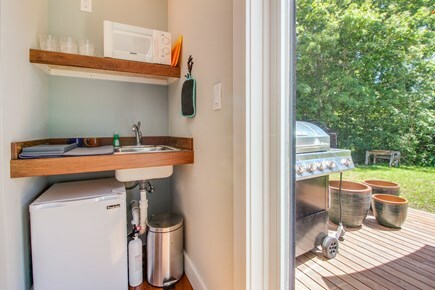 You'll even have your own gas grill (with a side burner) and a shaded picnic table outside on the deck, which is shared with the main house but sectioned off to give you privacy. 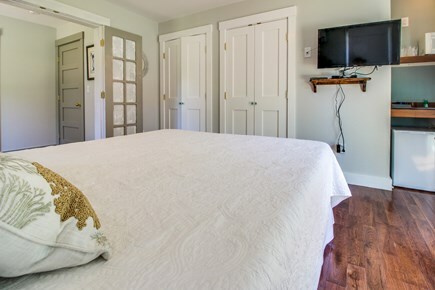 Come and experience the sunshine and leisure that Martha's Vineyard is known for - you'll find everything you need at this Vineyard Haven suite! 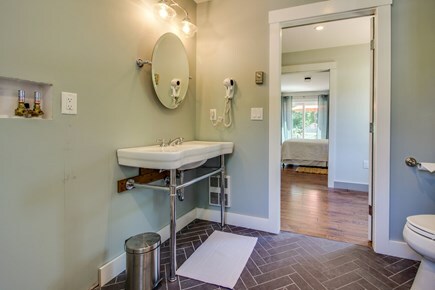 *Please note that this suite is located in a larger house, and, while private and self-contained, does not include access to the rest of the home. Thank you! Close to town but still far enough away! Good location 0.5 mi walk to town (have to go through someone's property but there's a path). Place seemed brand new, super clean, check in easy and management responsive - we needed to extend stay due to weather conditions. Highly recommend! 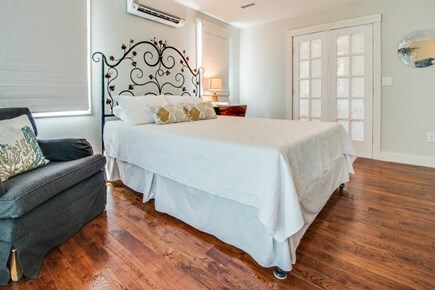 Lovely and private suite with plenty of space for two. There's a grill outside you can use, and a fridge and microwave inside, all of which are nice to avoid having to go to restaurants for every meal. Vineyard haven main street / ferry / bus stop are about a 15 minute walk from the house. Owner, who is nice and gives you your privacy, lives in the same house, but the rental unit is totally separate. We saw wild turkeys, a skunk, and a housecat in the backyard. So that was cool. The mermaid suite was small and intimate. Perfect for a couple. Bed was very comfortable. Bathroom large and lots of space. Everything was very very clean. My stay here was pleasant and comfortable. Many thanks.